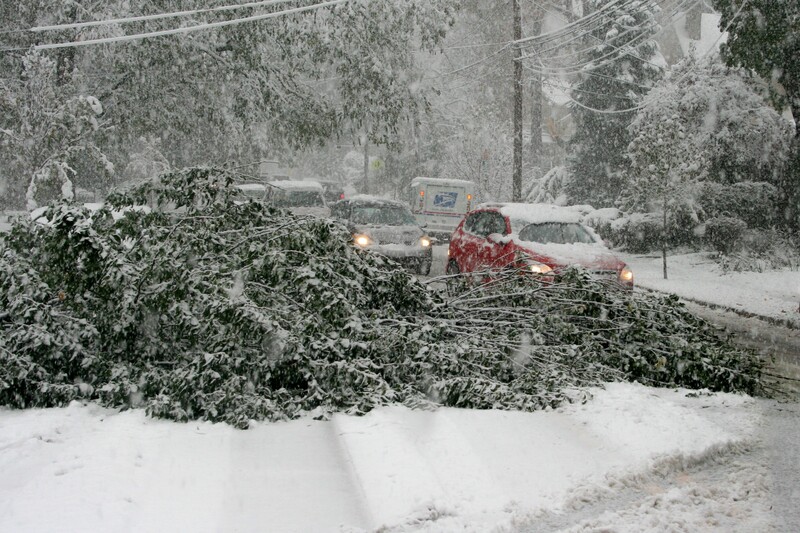 On October 29 2011, the Garden State was hit with a Nor’easter that included several inches of snow. 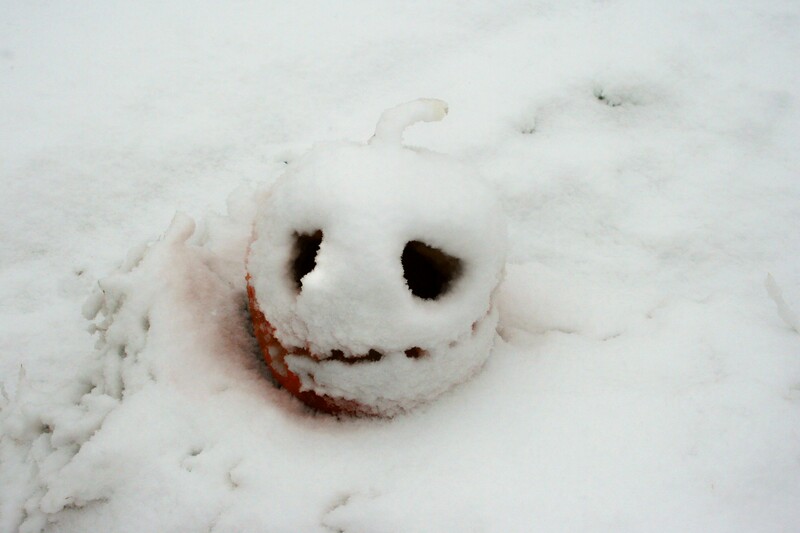 Known as “Snowtober,” the Halloween snowstorm was particularly problematic as trees were still in full leaf. In winter months snow falls through barren trees, but in this storm, most of the snow was held aloft in the branches. The incredible weight of all that snow resulted in hundreds of trees across the region snapping. Aside from knocking down power lines, roads were blocked, often for days. 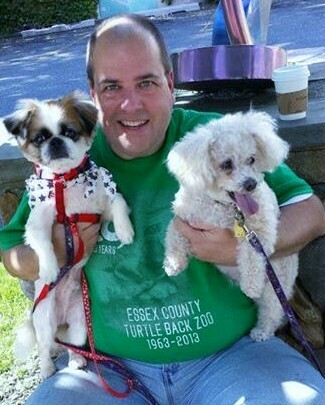 Halloween that year was cancelled as the lack of power and remaining downed power lines created unsafe conditions. In the days following the storm we learned of the incredible number of hundred year old trees that were destroyed in the storm. The night before the storm, “Gardens Aglow” featuring hundred of hand carved jack-o-lanterns, was held at Presby Memorial Iris Gardens in Upper Montclair NJ. The snow created an eerie effect the next more. Also in Upper Montclair, Saunders Hardware still had their grills on display on the sidewalk. Having been out that morning, I took full advantage of my journey home to capture some of Snowtober. 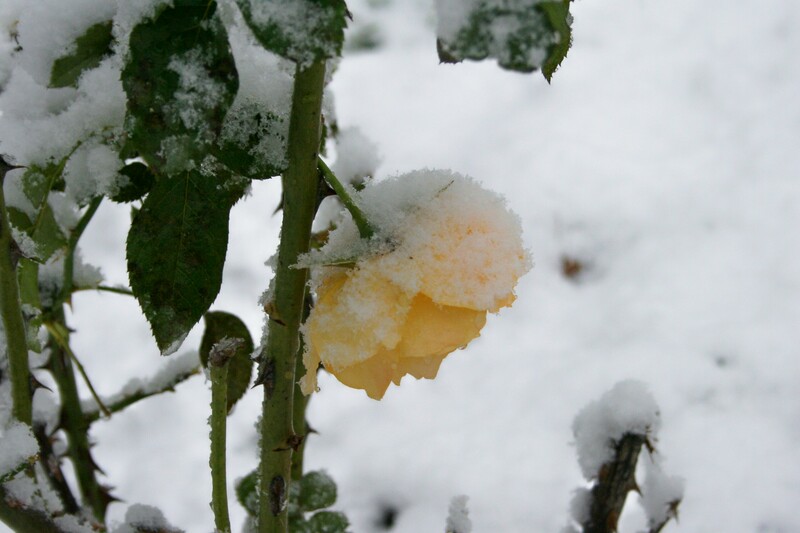 A detour through the Olmstead designed Brookdale Park in Bloomfield NJ led me to discover the last snow kissed roses in the Essex County Rose Garden. While walking back to my car I noticed the magical area beneath the ginkgos that appeared dusted with snow, in reality several inches of snow had already fallen, but most was held aloft. The other discover of the day was just how well my Mini Clubman Olivia performed in the snow. So what’s the food angle? I took full advantage of the days following the storm to cook, cook, and cook some more!